I wasn't quite ready but hubby took down Christmas and went straight to Valentine Kitchen Decor arranging. 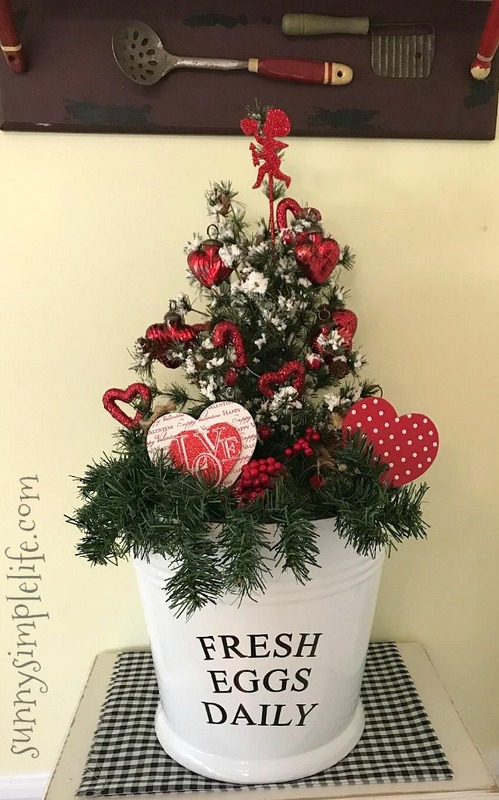 He took our little tree in the fresh eggs daily bucket and turned it into a Valentine tree. 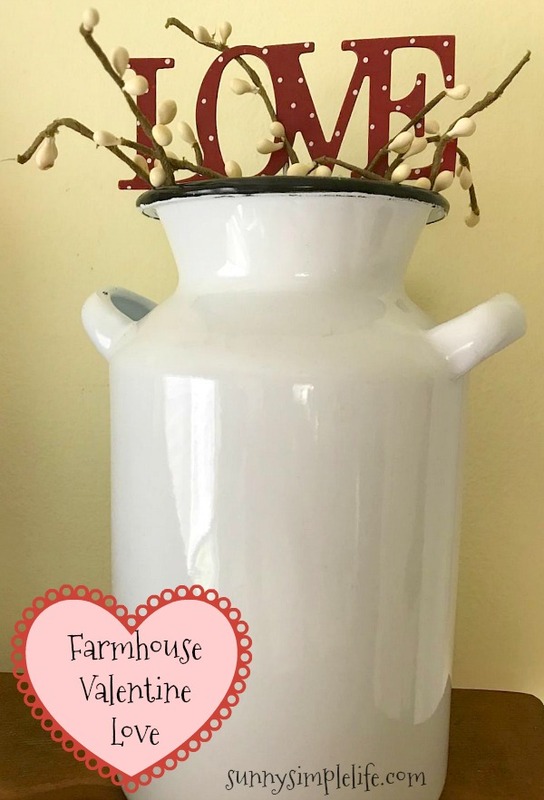 From farmhouse Valentine decor and a little prim Valentine our kitchen is so cozy. As always full credit goes to the hubby as he does all our decorating. 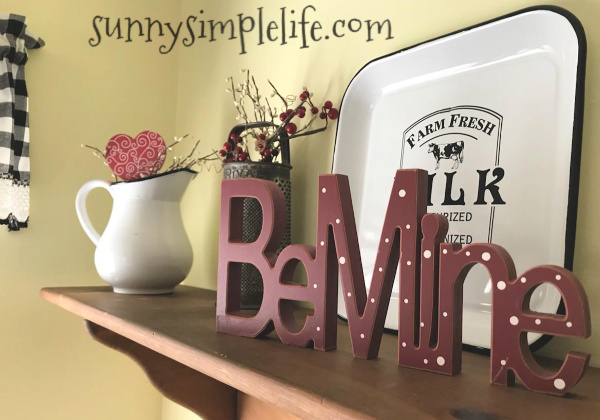 Hubby left all the black and white enamel in the kitchen and added touches of red and hearts that will be the perfect January to February decor. This little shelf has a place in my heart and holds our main kitchen display area. 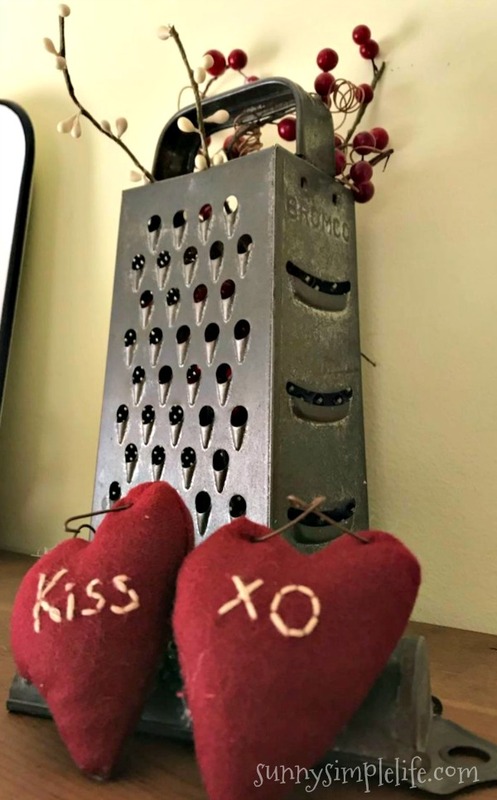 This is my mom's old cheese grater and I love to display it. I think it makes a nice prim or vintage Valentine statement. A little rustic Christmas tree was tucked into our fresh eggs daily bucket. Some glass heart ornaments and other hearts add the finishing touches. The perfect farmhouse February decorating. I can't wait to see what hubby has in store for spring. Very cute! Dean did a great job as usual. Your hubby is sooooooo gifted! Not only with the BIG accessories, but all the little detail, too. Love all your great enamel ware! Great job! It looks so festive!